Performance Trucker line fits in line with your trusty cap collection - but outperforms others when it's time to focus on the adventure at hand. Trusty breathability, light weight, and quick-drying capabilities are a given for OR's Trucker line, but it's the Flexfit® 110 construction that outshines others when it comes to versatility and a functional fit. Designed for seaworthy feats, the Performance Trucker Paddle is the water-resistant, flat brim hat that protects against sun damage just as easily as it floats on water. 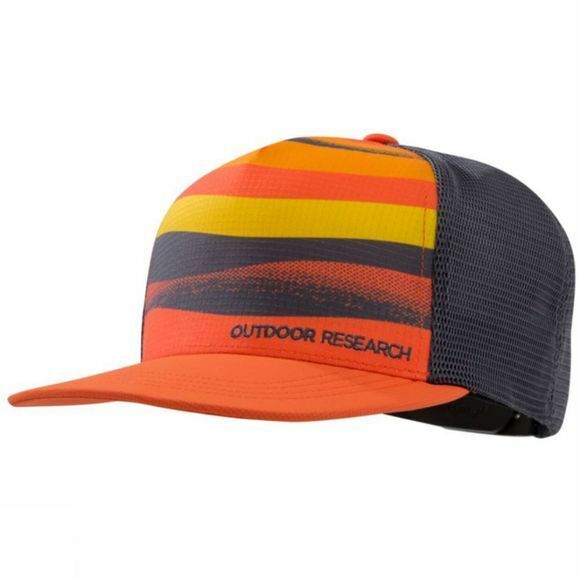 A perforated back panel and cool & dry headband wick away sweat before you think twice about whether you mistakenly crossed over from fresh water to salt water.